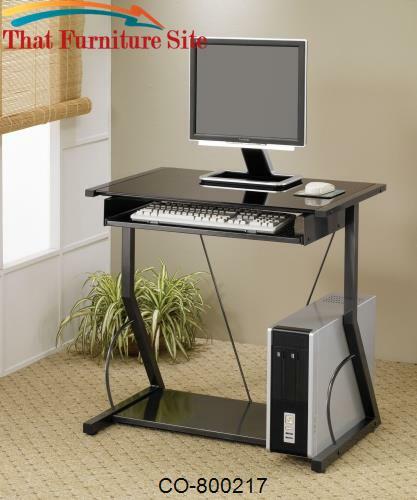 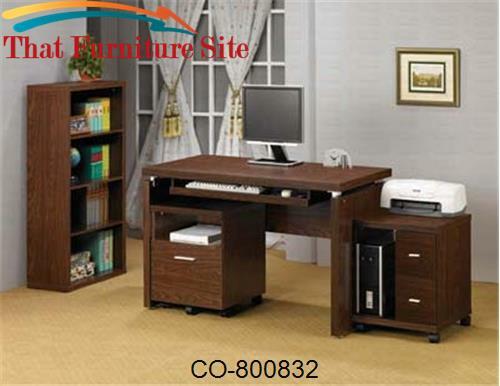 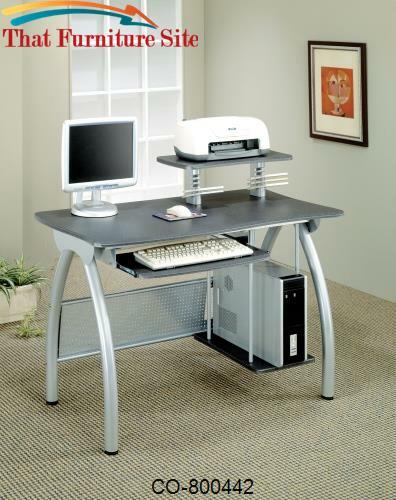 This cool contemporary computer desk will be a nice addition to your home office, or any other space in your home. 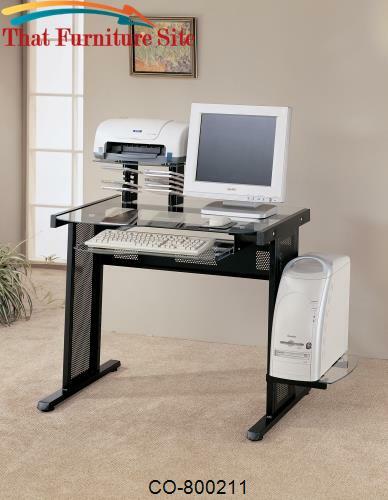 This compact desk makes computer use simple, with a generously sized glass work top, and an elevated glass shelf that is perfect for a printer, with attached CD holders. 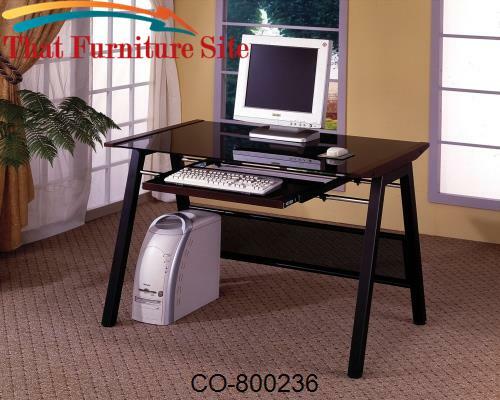 Below, a roll out keyboard tray adds to the convenience, with a low glass shelf along the side to hold your CPU tower. 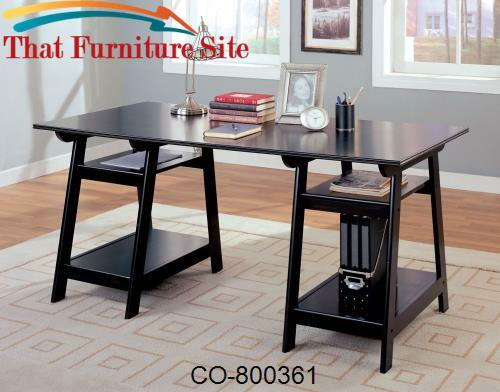 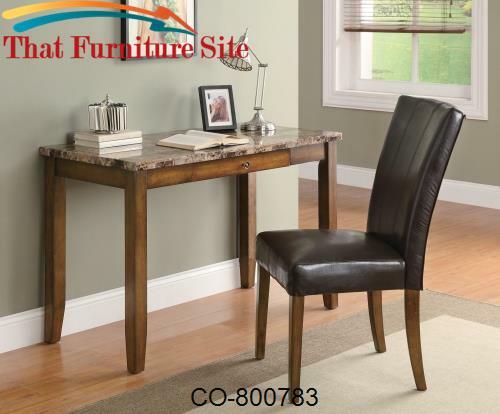 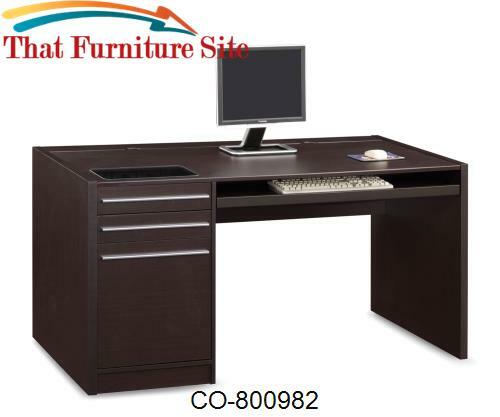 In a Black metal finish, this sleek contemporary desk has everything you need to be productive on your computer.